my long faithful (we figure 5yrs), but now dead Canon took this (blurry cuz I had no steadying surface, sorry) as its last night photo on Sunday night. 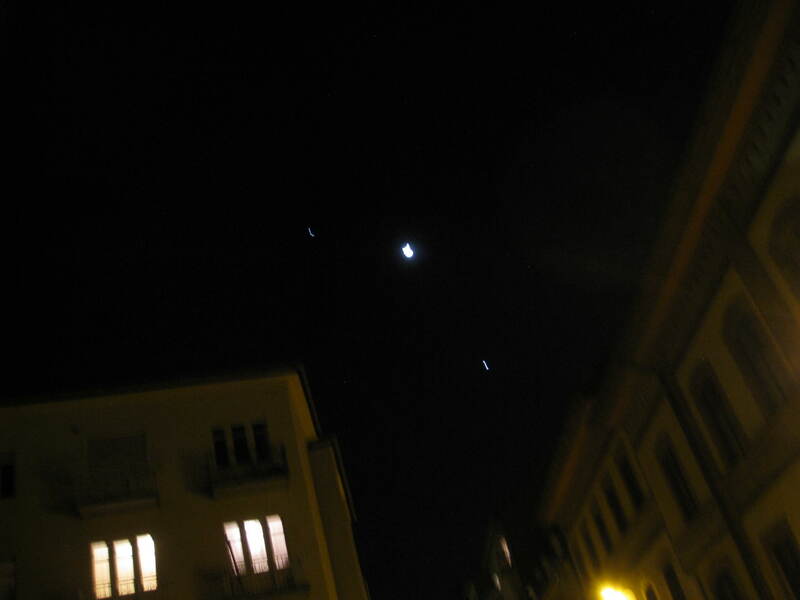 On the left and below are Jupiter and Venus (according to a web search) and the largest light is a crescent moon… it was pretty cool to behold walking up the street to the Luper’s. Joanna and I have been collaborating on what the replacement camera that best fits my use over here could be… CLICK here to see what I’m thinking about.